The Nivelles Tourist Office provides guided tours of the town. These group visits are organised on request in French, Dutch, English, German. 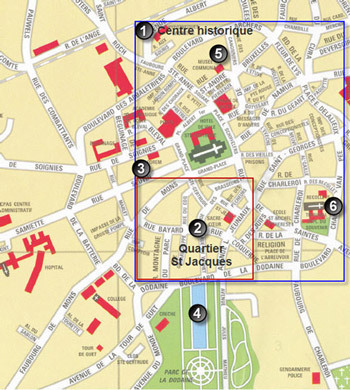 Individual visitors can obtain booklets regarding local attractions and guided walks at the reception desk of the Tourist office, situated close to the Grand-Place at 48, Rue de Saintes.